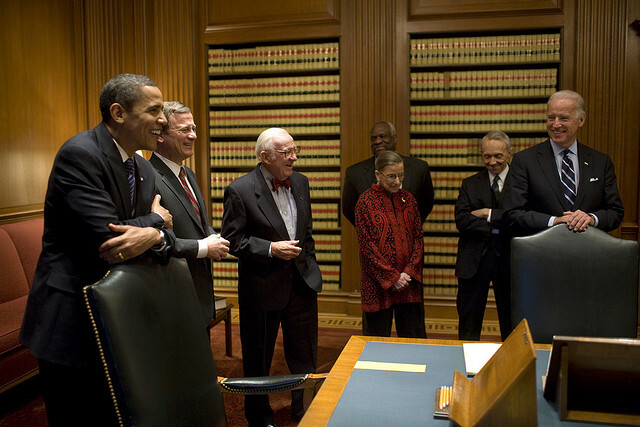 The Supreme Court justices are currently in deliberations, to decide the fate of Barack Obama’s expanded Deferred Action for Childhood Arrivals (DACA) and Deferred Action for Parents of U.S. Citizens and Lawful Permanent Residents (DAPA) announced November 2014, as part of the President’s executive actions on immigration. At issue is whether or not the Court will hear arguments for and against lifting the temporary court injunction, which prevented the expanded DACA program and the new DAPA program from moving forward as initially anticipated. The extended DACA and DAPA provisions were scheduled to go into effect on February 18, 2015, but were quickly blocked by a temporary injunction filed by Texas and 26 other states, just three days before applications for extended DACA and DAPA would have been accepted by USCIS. What has resulted has been a near two-year legal battle between the federal government and the states in question. to file a writ of certiorari with the Supreme Court. The federal government has decided to appeal to the Supreme Court. The Supreme Court is expected to decide whether it will hear the case by this week. If it does, the court will be taking a historic step in solving one of the biggest immigration dilemmas of all time. If accepted, oral arguments before the Supreme Court are expected to take place in the Spring, before the election of our new president. For more information please continue to check our blog.